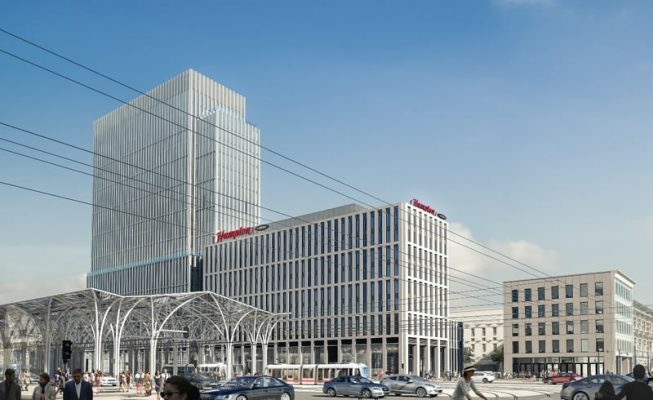 A mixed use project currently under construction (34,000 square metres) located in the centre of Lodz, in a new public transport transit hub. 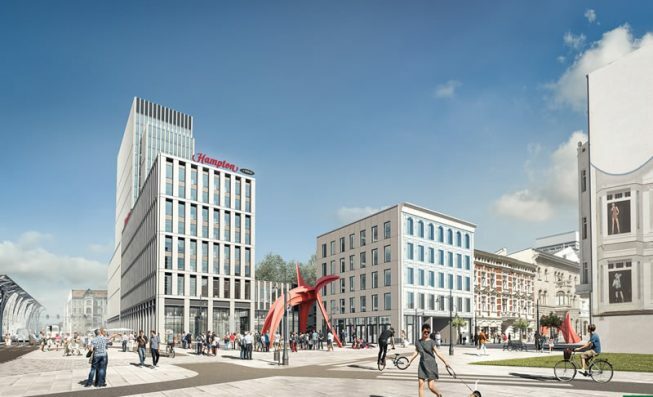 The development comprises a 19 storey office building integrated with a 7 storey 149 bedroom Hampton by Hilton Hotel, a separate 5 storey office building and underground parking with 130 spaces. The hotel and tallest office building sit on a common floor plate, each with shops, cafes and restaurants on the ground floor and medical and fitness centres above. The office space is 21,000 square metres with A+ class specification, The retail of 5,000 square metres and the hotel 8,000 square metres. 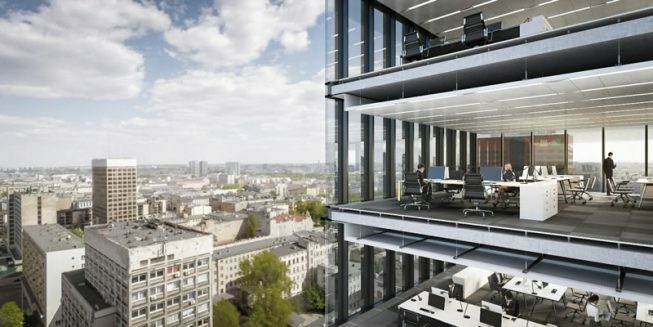 Lodz is very well located in central Poland and is the country’s third largest City.